Many people today are seen to be more active in the afternoons and evenings. And by "active", we are referring to their exercise and fitness routines. Although some try to wake up in the morning to do their regular exercises, a lot are still opting to do so later. The reason behind this phenomenon is that many people think that they have more time during the later part of the day. While it may be true since there are a lot of other priorities that need to be accomplished in the morning, you may be missing the essential benefits of exercising in the morning. Exercising, in general, can help you burn fat. But, little did you know that morning exercises are much more effective in burning calories and excess fat. The reason is that the fat oxidation is found to occur naturally when the workout is done before breakfast. Now, if you really want to burn more fats and calories, efficient fat oxidation is the thing you need. Not only does it help you burn fats, it can also help you minimise the risks of getting diabetes. Moreover, an exercise routine before breakfast also mimics the way how fasting works, which apparently is a very good factor in losing weight. Although exercising at any time of the day can help you achieve a natural glow and bloom to your skin, nothing beats the glow that you can get from doing your routines in the morning. Research and studies found that people who exercise in the morning have more radiant, glowing, and blooming skin than those who exercise in the evening. The sunlight, heat, and daylight are apparently great factors that affect the bloom and health of your skin. It is much easier for you to hydrate and wash out your pores during these times, which makes it really beneficial for your skin. Exercising in the morning gives your body a healthy kind of fatigue and stress at the end of the day which results in deeper and better sleep. Also, morning exercises affect not only the quality of your sleep, it also helps you get longer rests. Note that an exercise is a form of stress. And the human body is designed to react to stress by releasing hormones and increasing the adrenaline. Just imagine when you do your exercises and workouts during the night time, the increase in adrenaline will affect your sleeping pattern when bedtime comes around! It is found that being active can help you reduce stress and depression. All the more reason to do it before starting your day right? Getting up and out to do your fitness routines will produce the endorphins or the happy hormones that will prevent you from feeling down and depressed. Accordingly, you will feel much better all throughout the day since you started it by filling yourself with these hormones. Also, it will be much more difficult for you to feel down and anxious even after a long day. 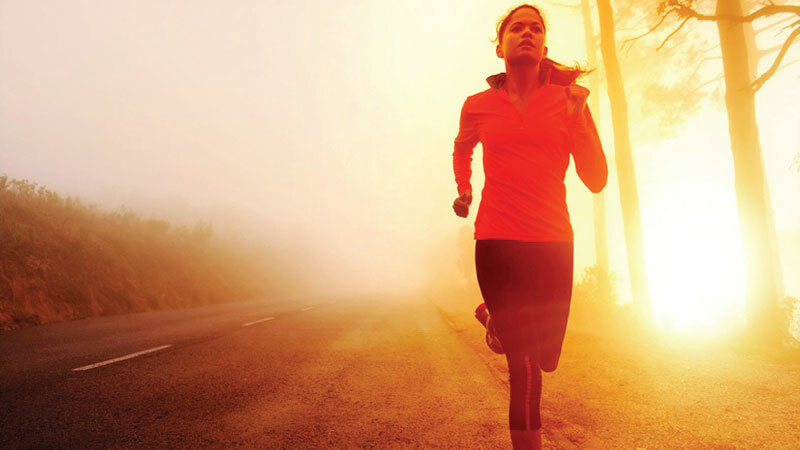 One of the greatest benefits that you get from morning exercise is the dramatic enhancement of your metabolism. After you finish your workout, you actually still burn calories. This process is called the Excess Post-Exercise Oxygen Consumptions or the EPOC which is perfect for exercising in the morning especially before having breakfast. Once you eat your meals, even white and grass fed protein, your body will either use it as a source of energy or use it to replenish your system. This only shows that morning exercise can make your metabolism work faster and better since you cannot get this benefit from exercising in the evening. When you want to build and gain more muscles, you need more testosterone in your body. And guess what time of the day that your testosterone levels are at their peak? Yes, you guessed right – in the morning, once you wake up! Hence, getting up and out in the morning to do your workouts and trainings will help you build muscles more effectively and efficiently for the very reason that your body is in its prime muscle-building state. You may feel that you are not a morning person but if you really want to make life-changing moments in parallel to your health and fitness conditions, you better start exercising in the morning.